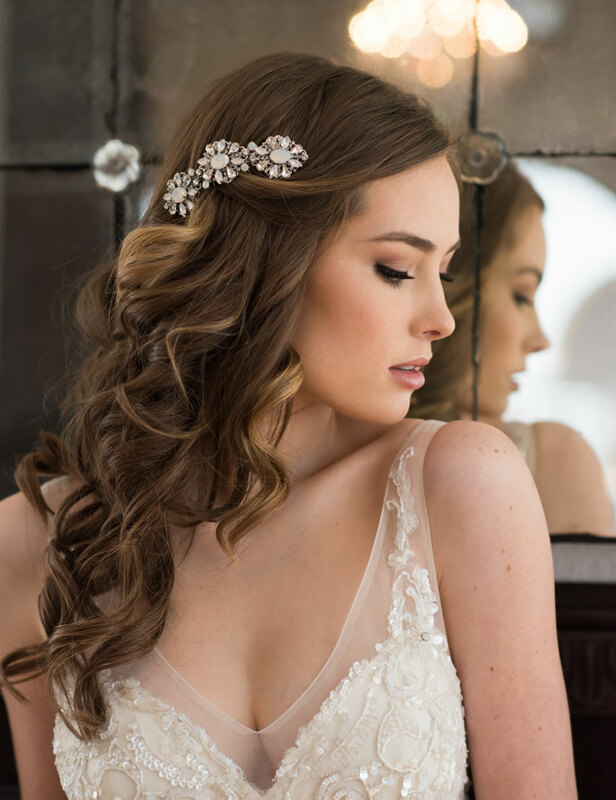 We’ve just returned from Chicago Bridal Market and we’re so excited to share that our Fall 2017 Collection was a huge hit! 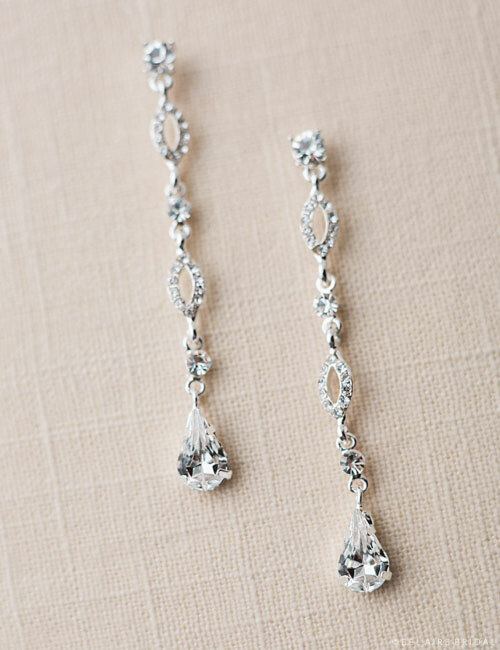 Check back with us in a few weeks to see what made the cut—we’ll post our newest items on our website for all to see. 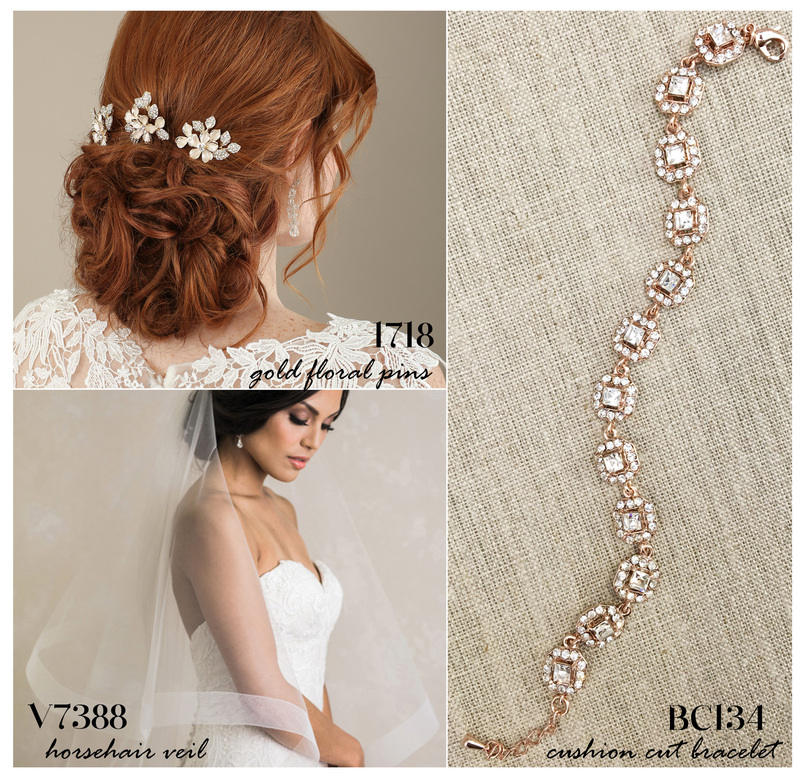 In the meantime, our most popular carryovers (favorites from past seasons) included stunning veils, pretty rose gold headpieces, and glittering clips and combs. 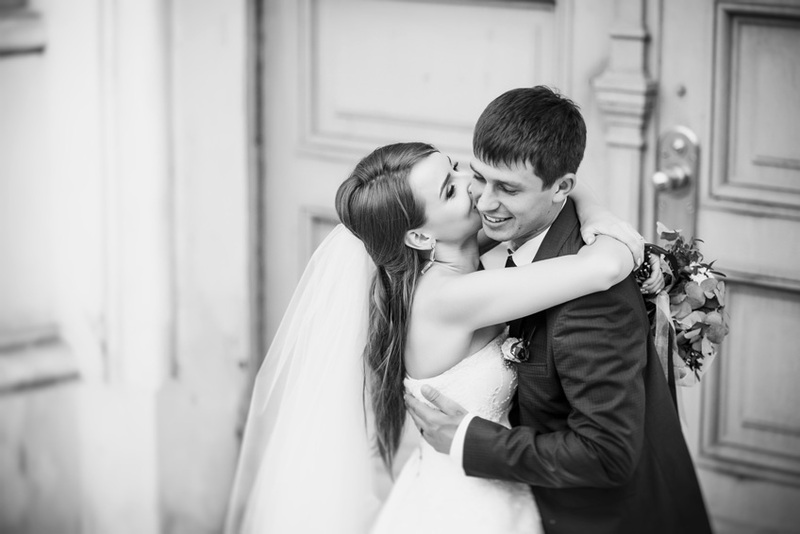 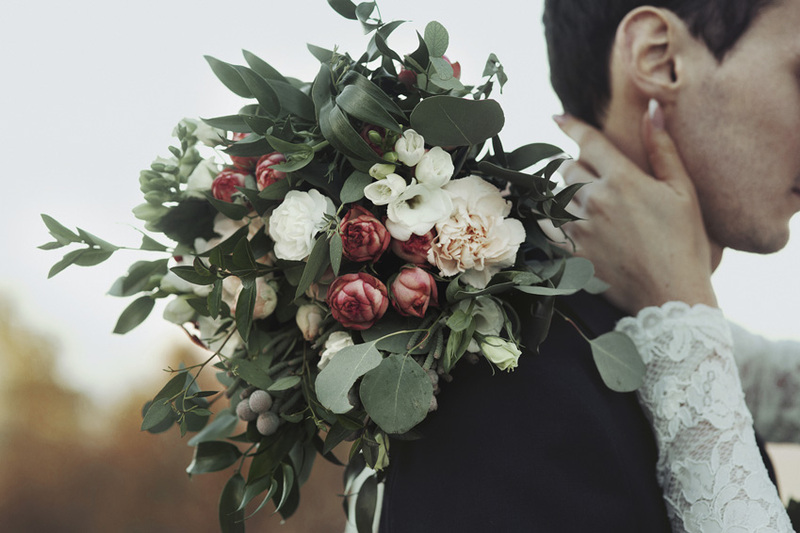 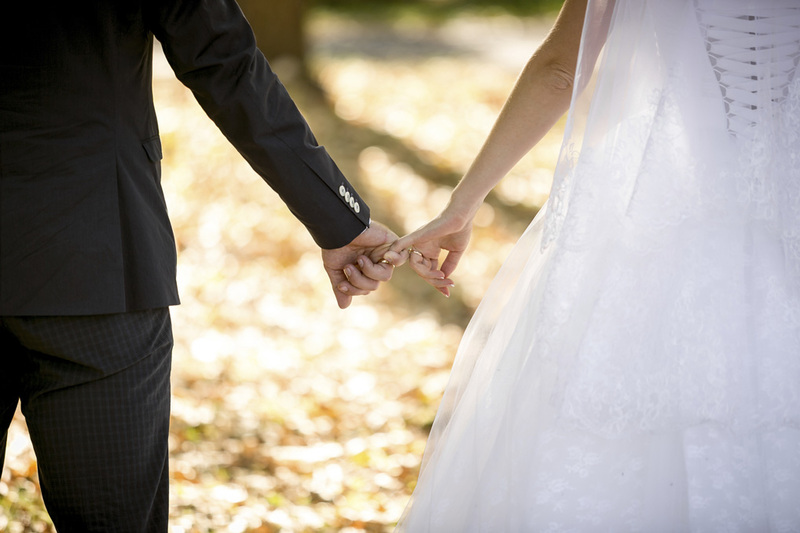 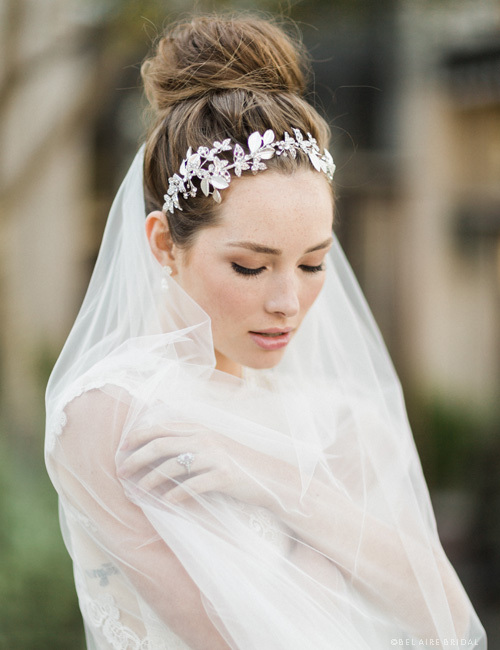 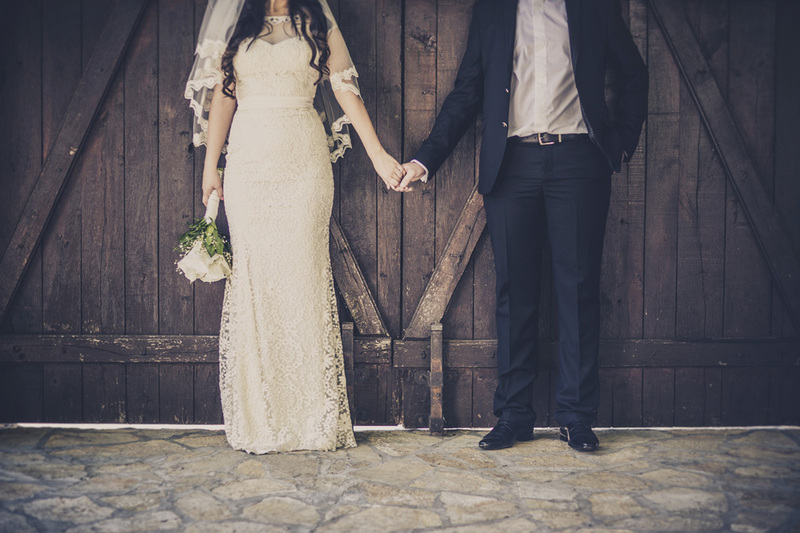 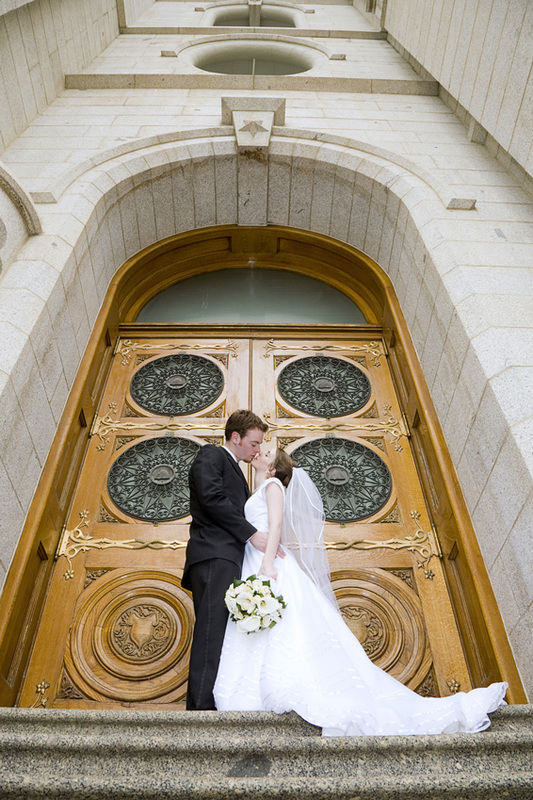 Check out our Top 10 List and see what this year’s bridal shop owners loved the most! 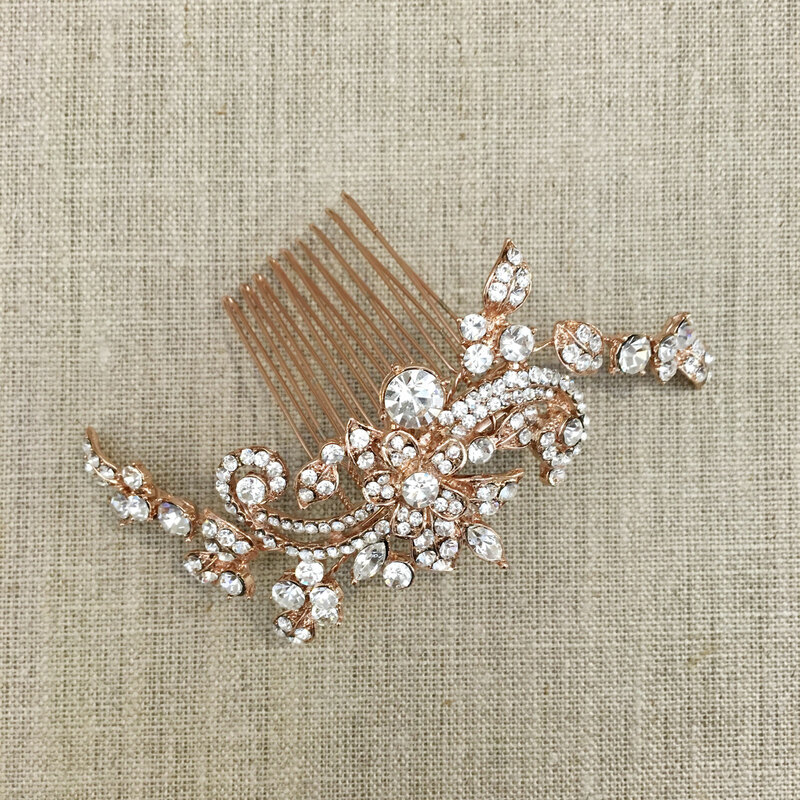 This delightfully elegant bridal comb slips easily into an updo and is a quintessential accent for any bride. 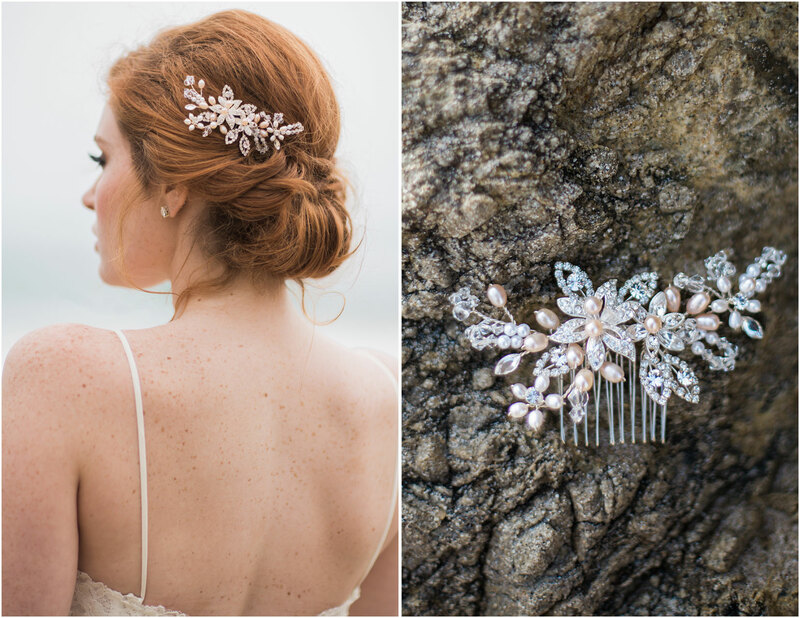 Combining pearls and rhinestones in a floral design, this match-everything design is super trendy in rose gold. 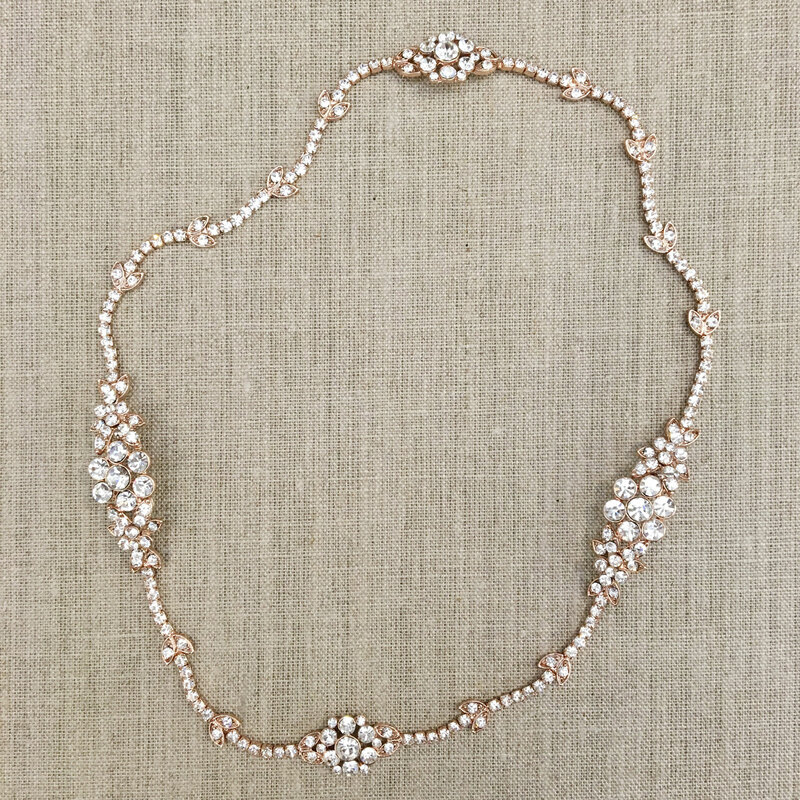 Style it with pearl or rhinestone jewelry for the ultimate romantic look. 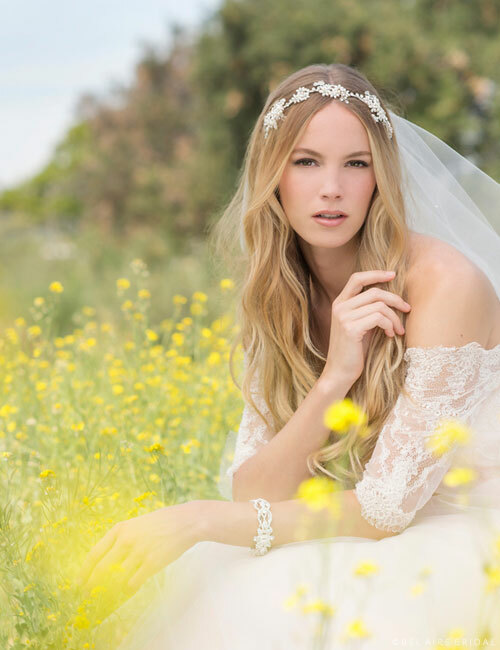 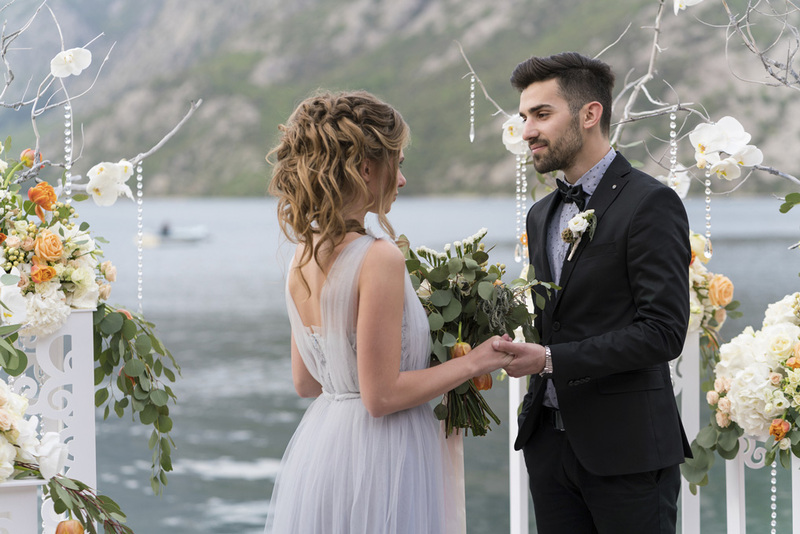 Last year’s bohemian trend has evolved into a gorgeous, boho-luxe style in which brides adorn themselves with utterly elegant, unstructured designs. 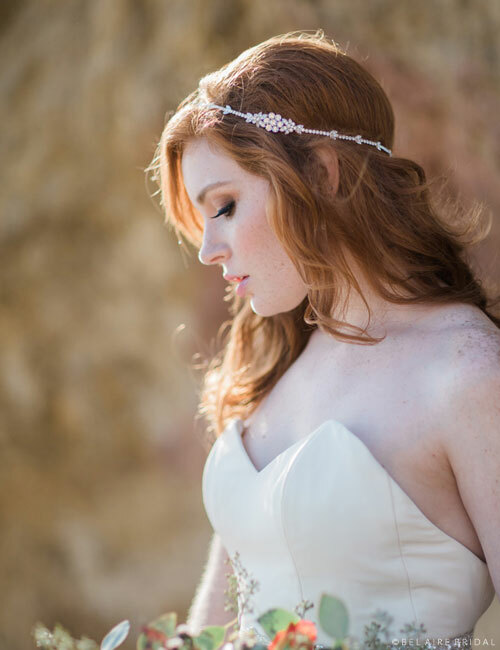 This lovely rose gold halo dovetails beautifully with a rustic style. 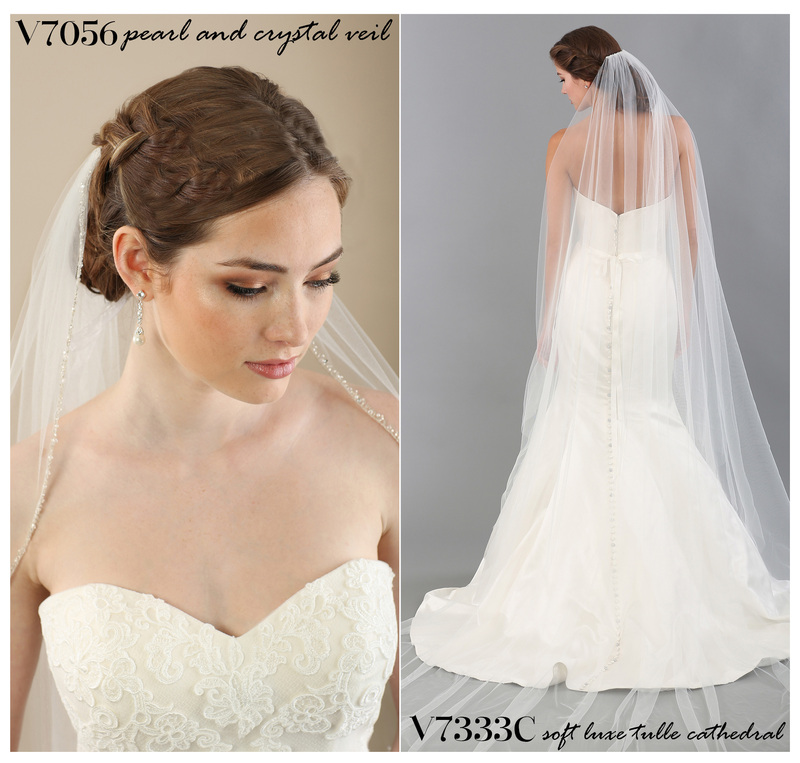 Made for the modern bride, it looks great with or without a veil. 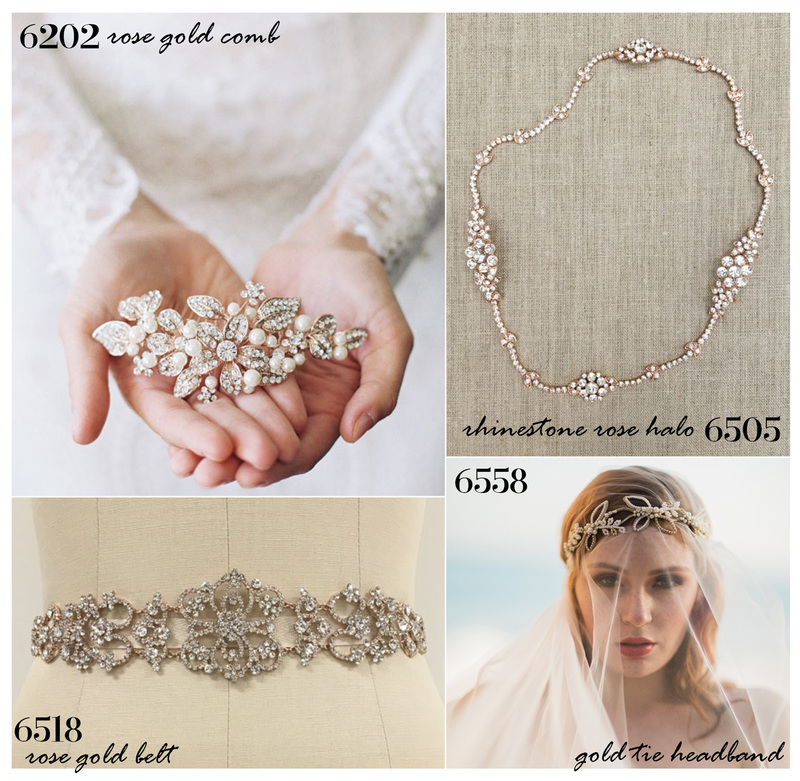 Another hit in rose gold, our glittering metal filigree belt 6518 has been selling fast! 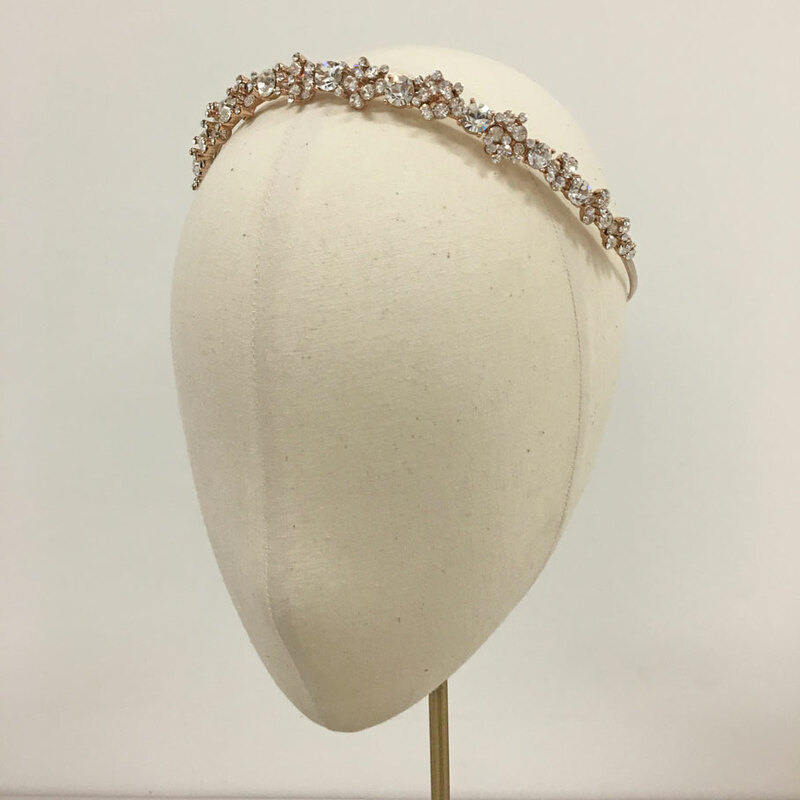 This lovely rhinestone encrusted belt twirls in an elegant, vintage-inspired design that beautifully enhances any gown with panache. 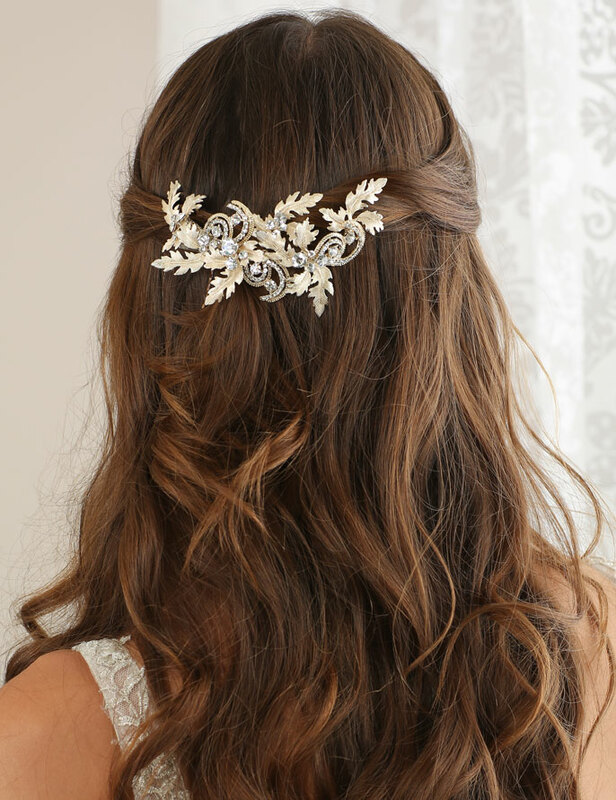 This style may also be worn as a headpiece. 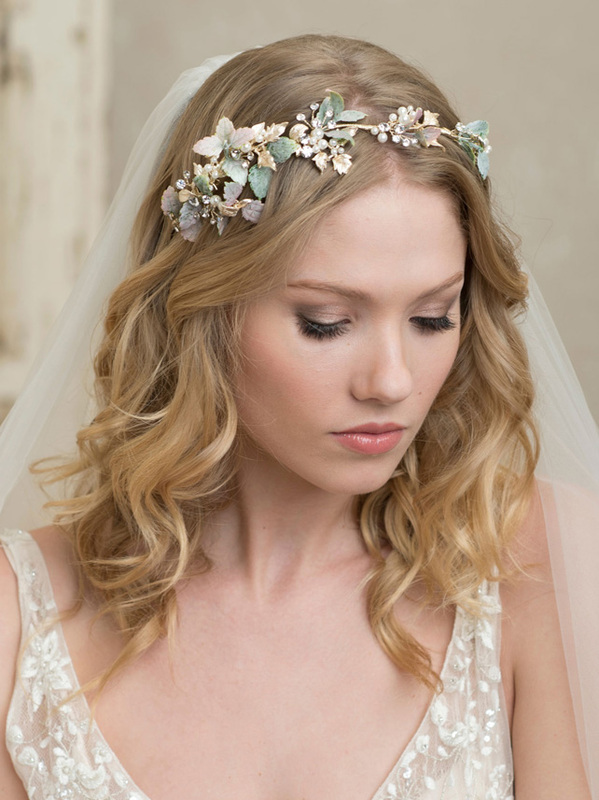 Our headpieces in luxurious yellow gold were hugely popular at market! 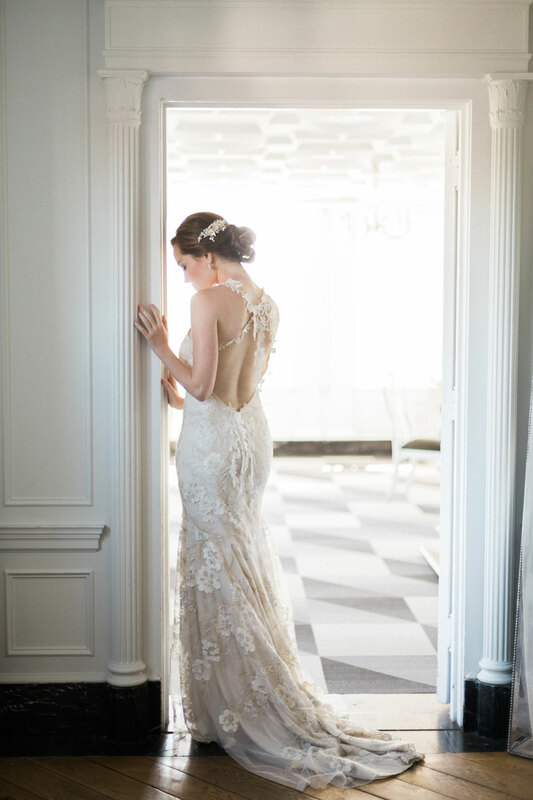 This warm hue looks especially pretty with blush, champagne, and ivory gowns. 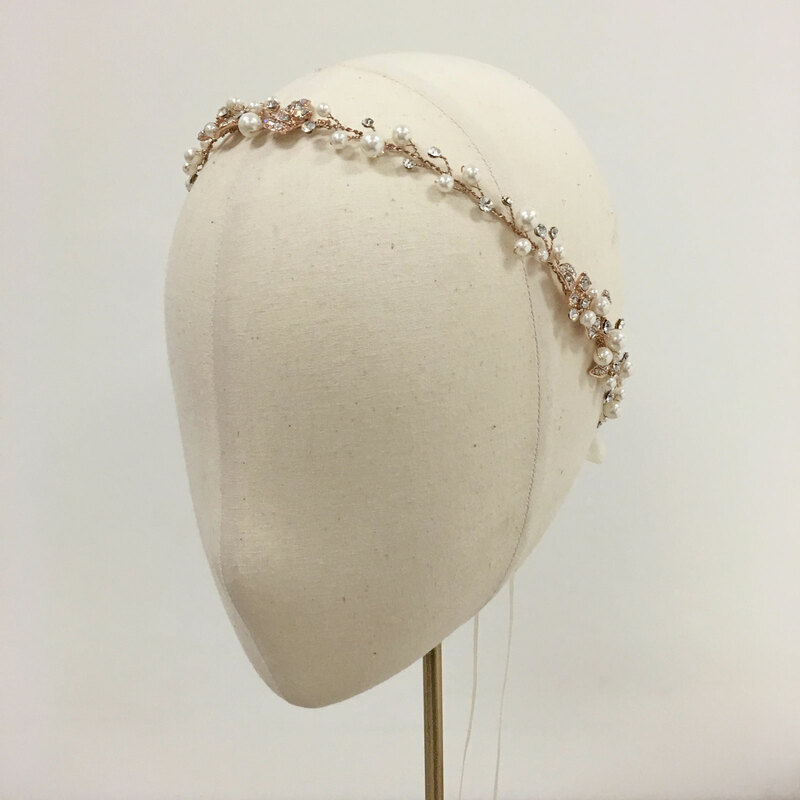 This gorgeous tie headband is composed of tiny faux pearls and a metallic nature-inspired design of open leaves. 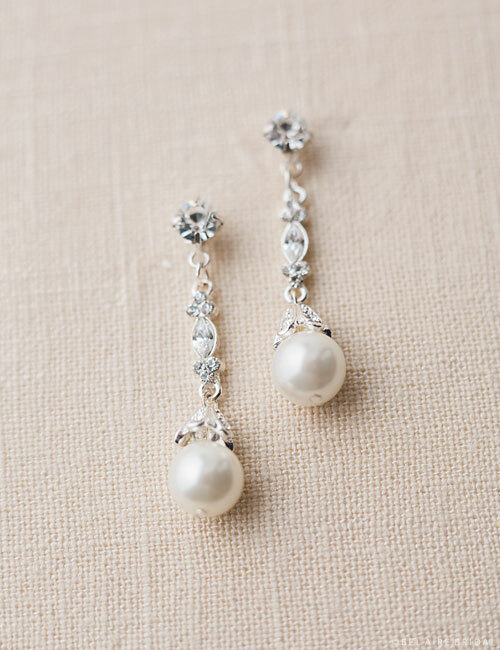 Pair it with pearl or gold jewelry. 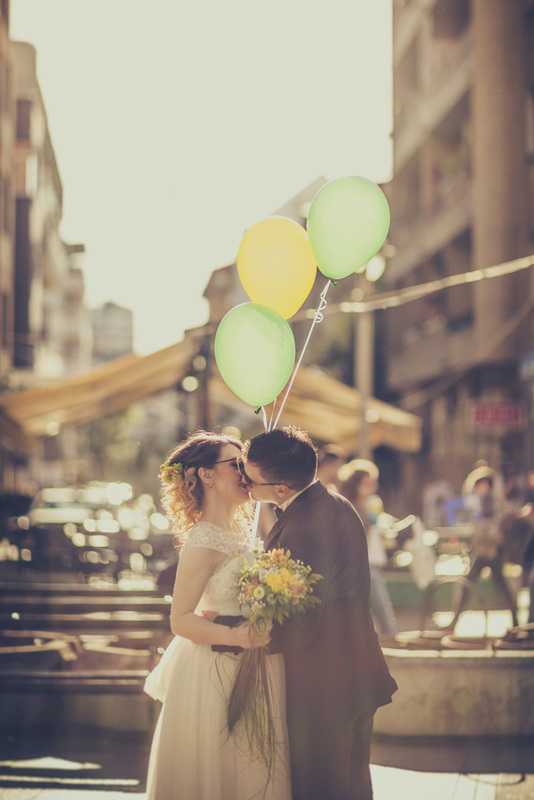 Romantic brides are still having a say in 2017. 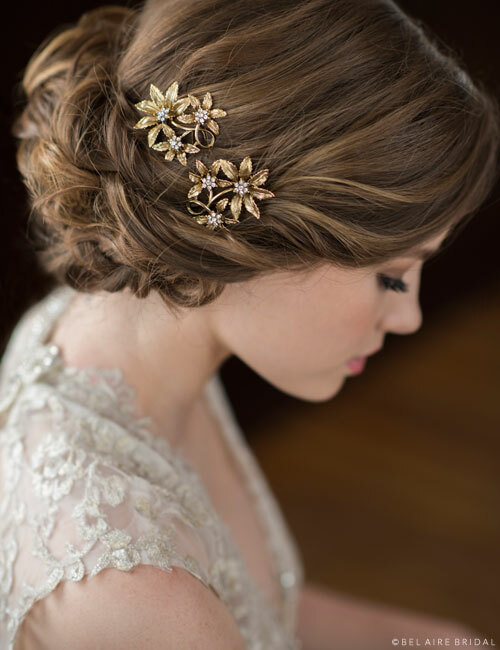 Right alongside bohemian fashions, feminine flower patterns are everywhere this season. 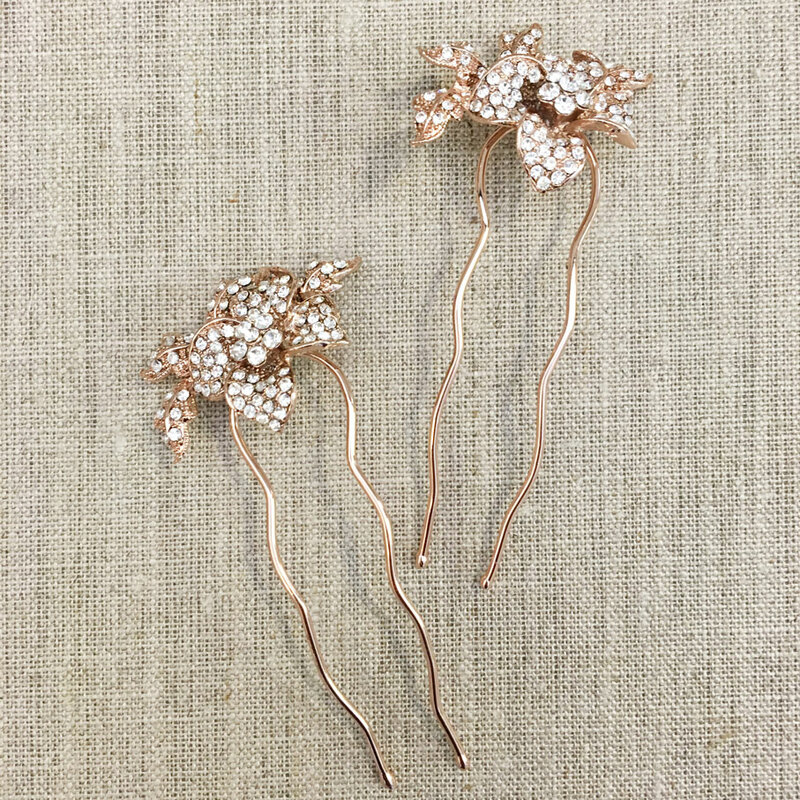 These delightful pins feature everlasting, metallic blooms and add the perfect touch of elegance to any ensemble. 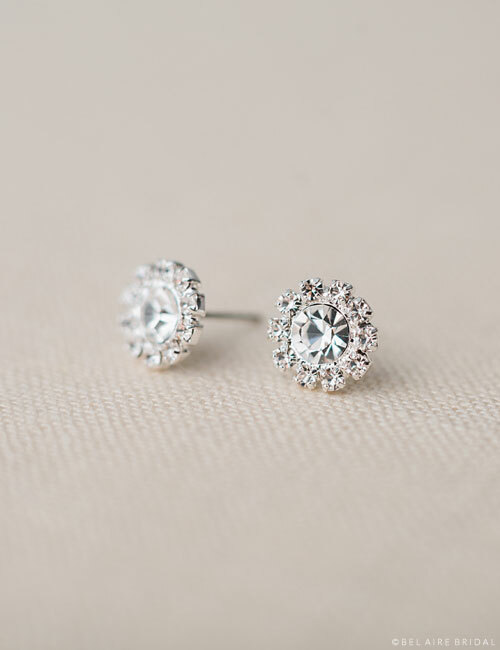 They’re also available in silver. 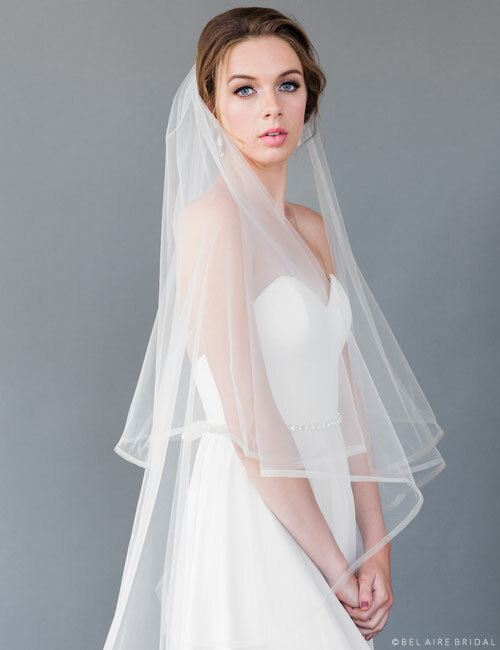 One of our most popular veils from last season, this lovely fingertip length design gracefully cascades with sheer elegance. 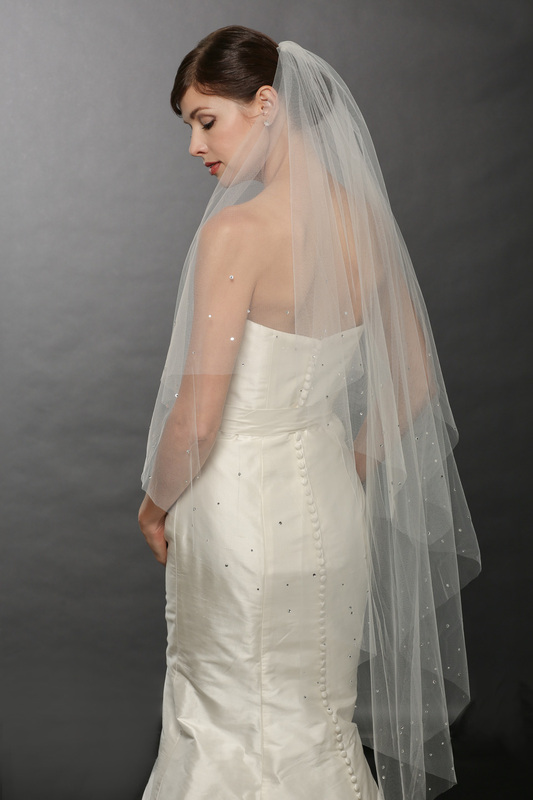 The foldover top tier may be worn forward as a blusher or back for extra shape and style. 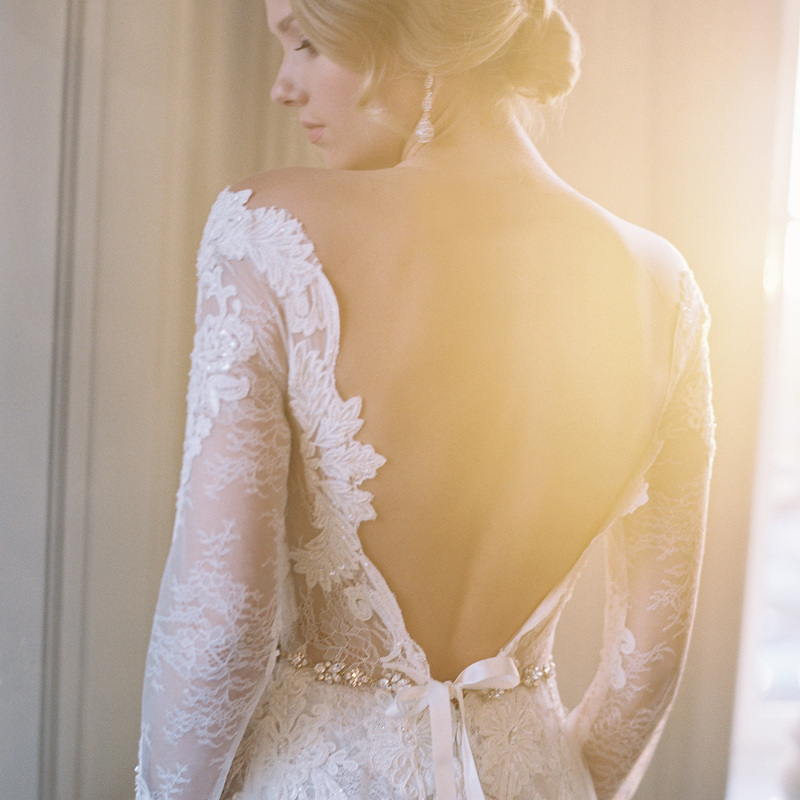 Beautifully complementing a variety of gown silhouettes, this one’s a must-have. 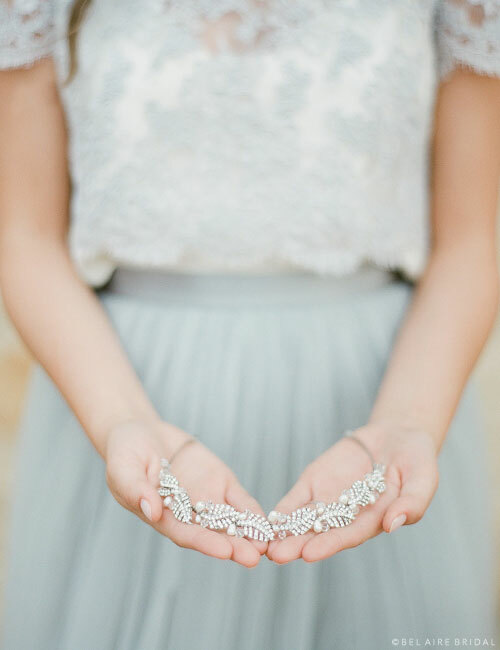 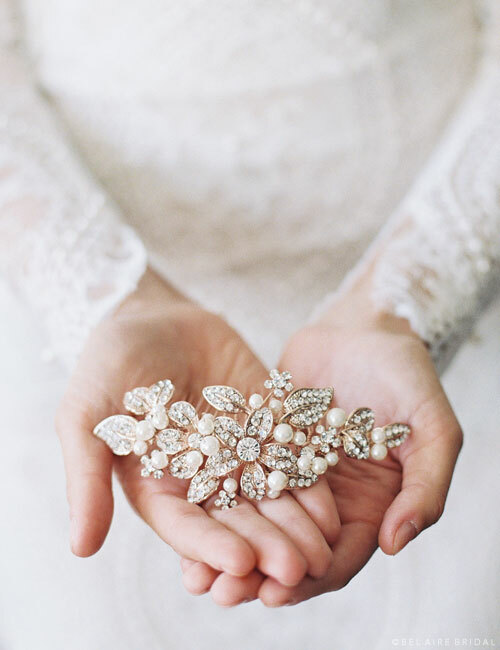 Did you know we sell beautiful bridal jewelry? 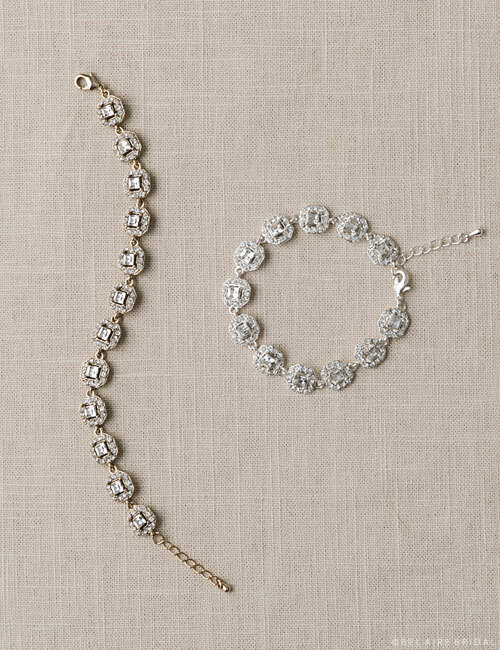 Our earrings and bracelets are more popular than ever this year! 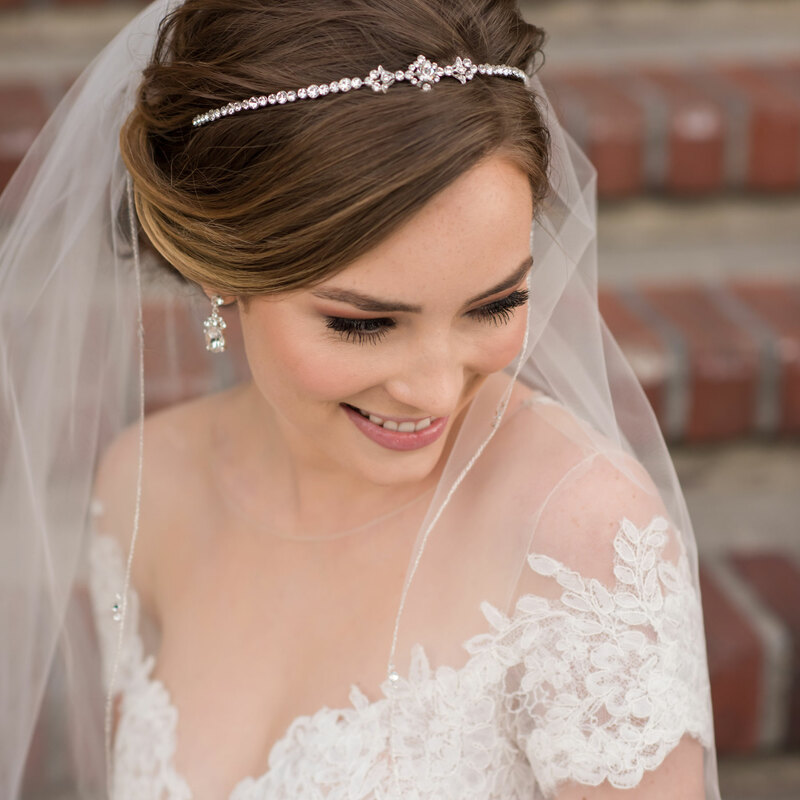 This design features cushion cut rhinestones with glittering pavé halos secured with a lobster clasp. 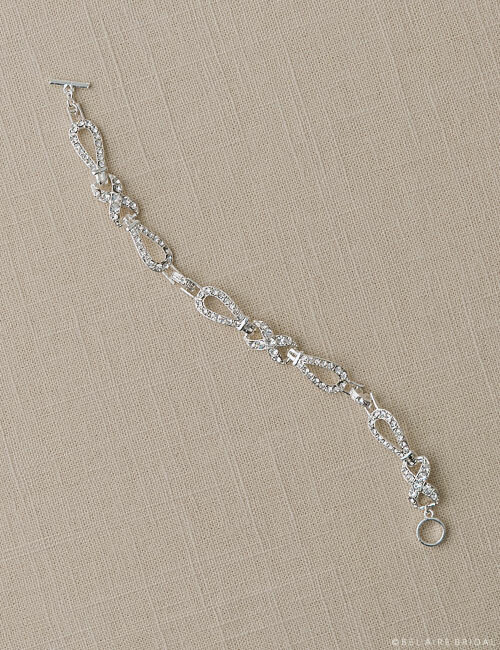 Available in rose gold, gold, or silver, this bracelet beautifully finishes off any ensemble. 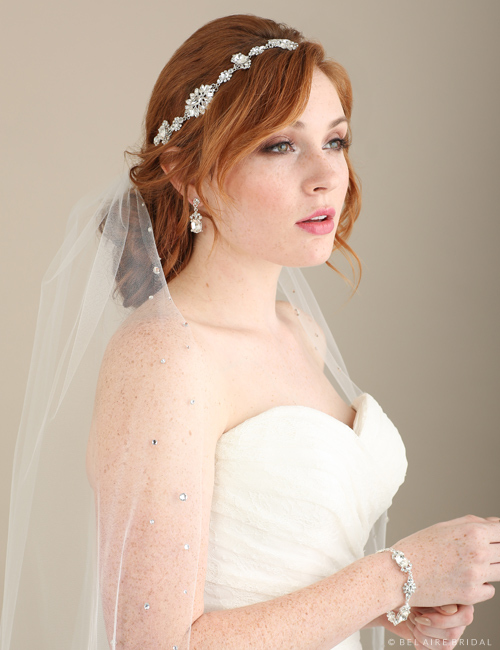 Shimmering with bugle beads, rhinestones, and crystals, this lovely design adds subtle glamour to any bridal ensemble. 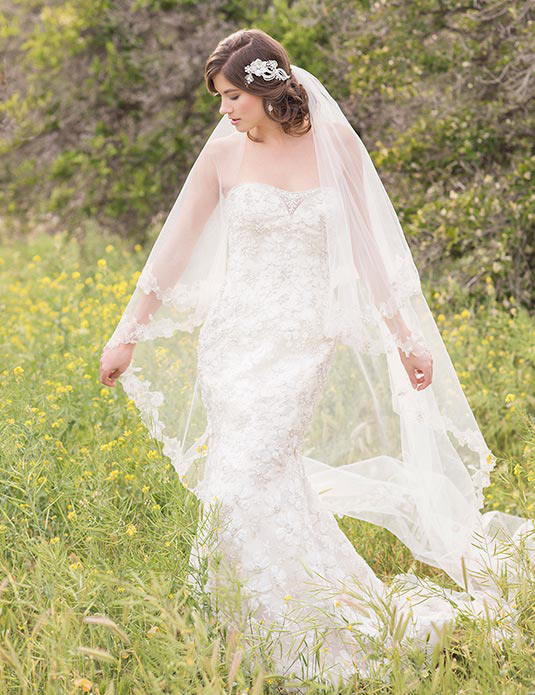 Available in ivory, white, diamond white, blush, champagne, and latte, this versatile veil style is popular year after year. 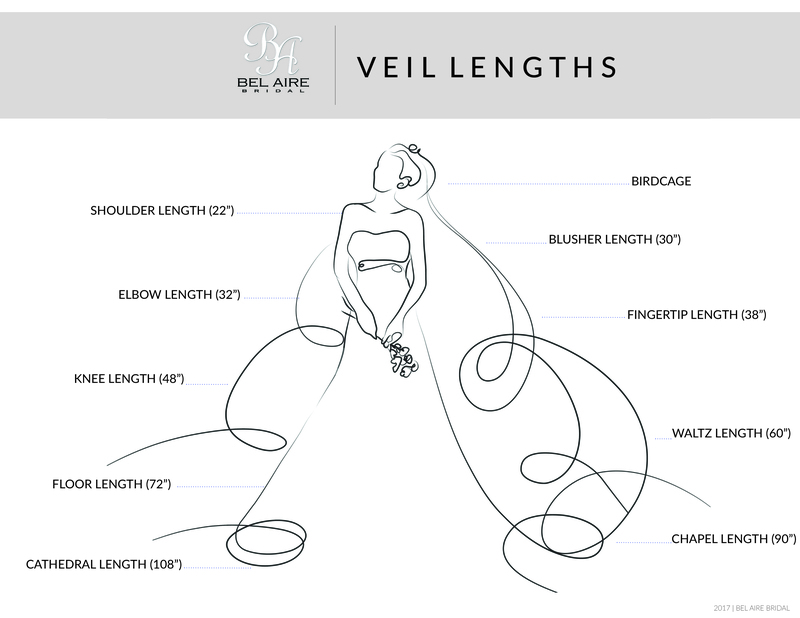 It is even available in cathedral length! 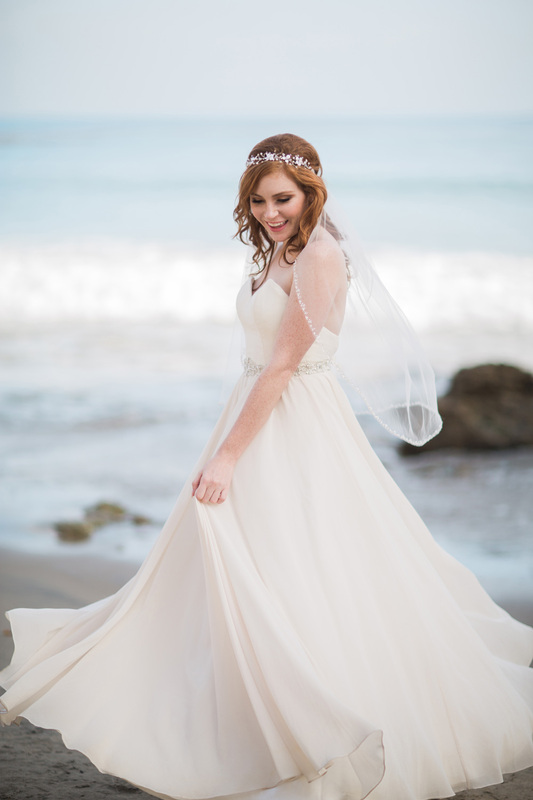 Working with a Pinterest bride? 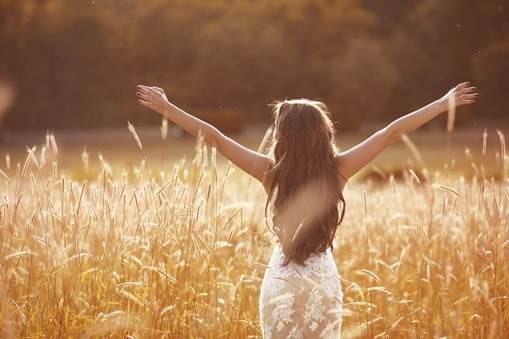 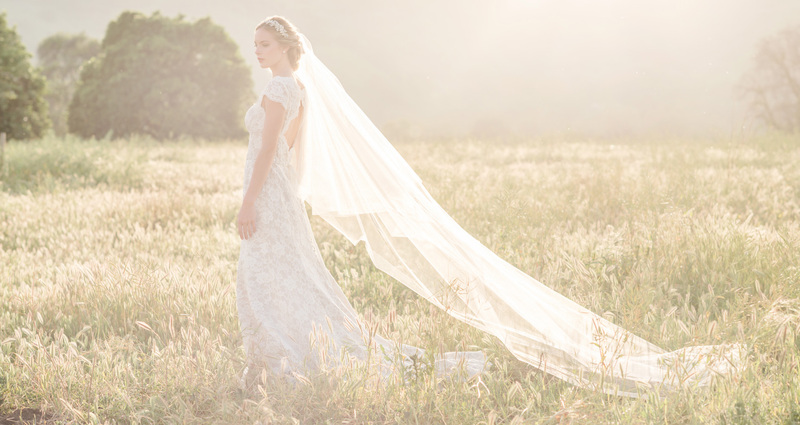 There’s nothing more graceful than a light-as-air cathedral veil blowing in the breeze. 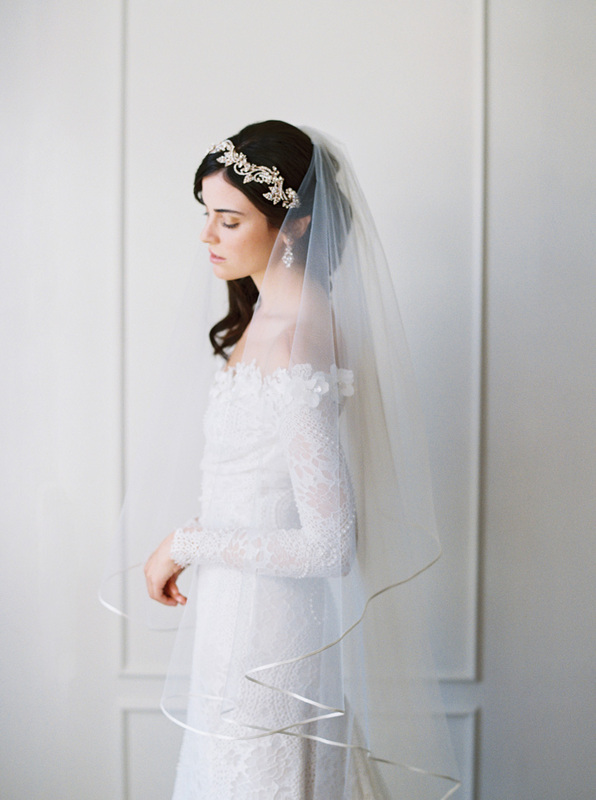 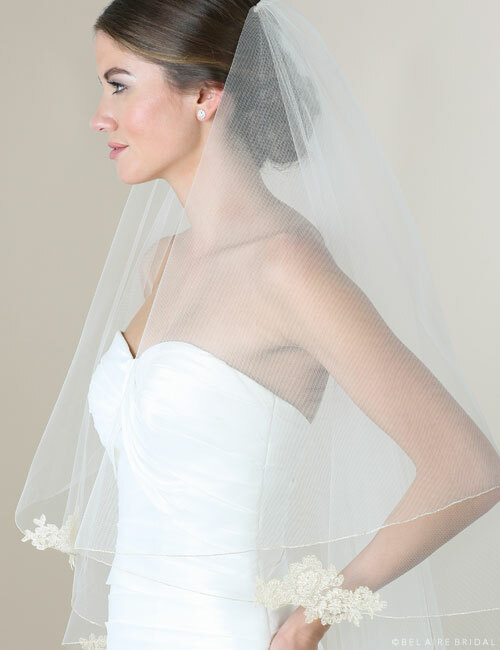 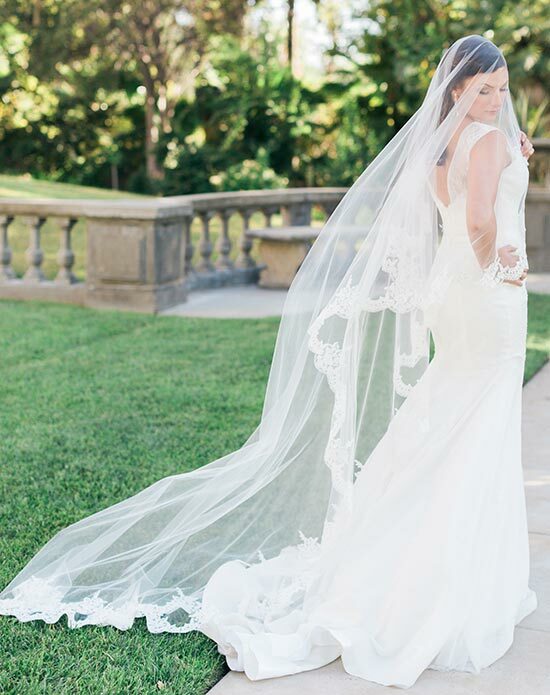 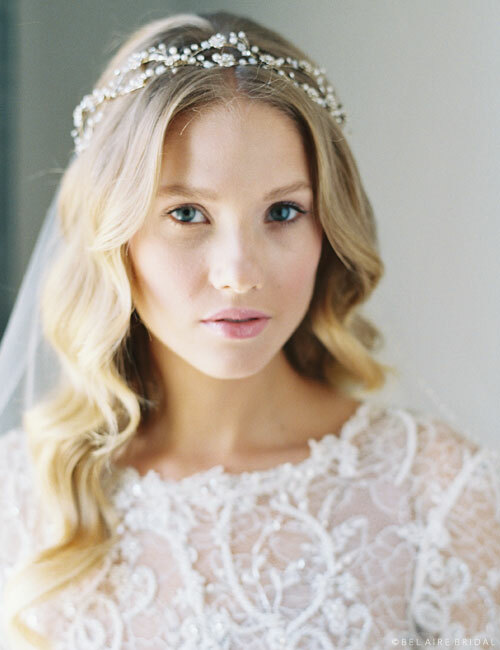 Our luxe tulle cathedral veil features faux silk tulle in a beautiful cut edge design. 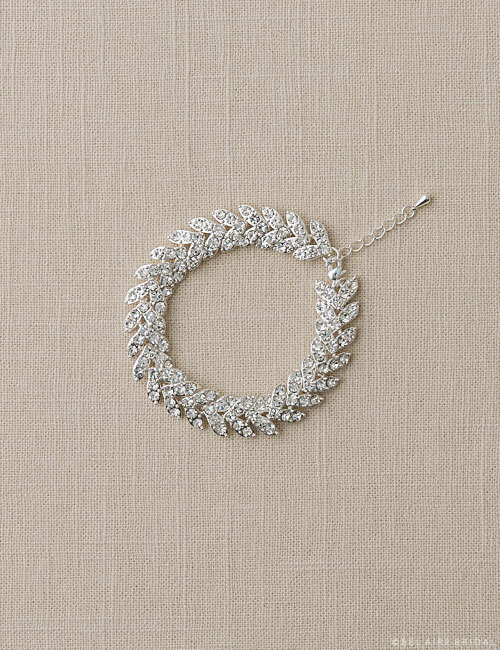 This style complements just about any gown silhouette and is only available in ivory. 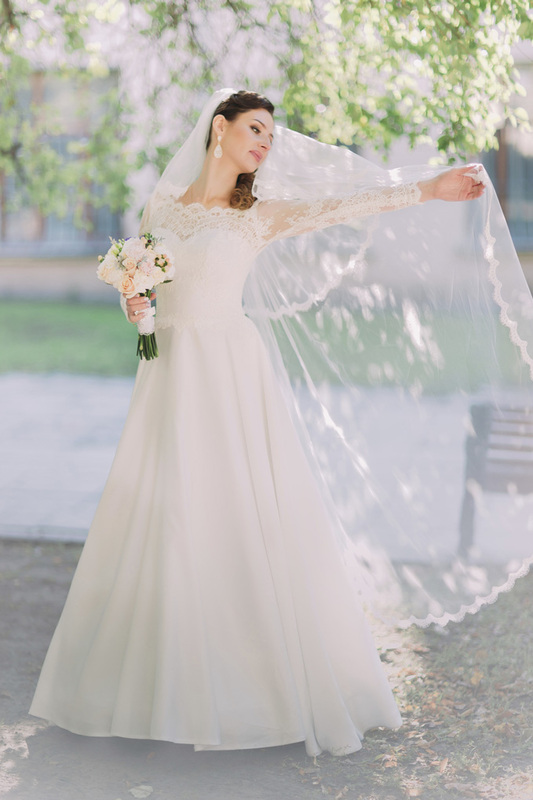 You can’t beat classic, beautiful lace—our V7034 is number one time after time. 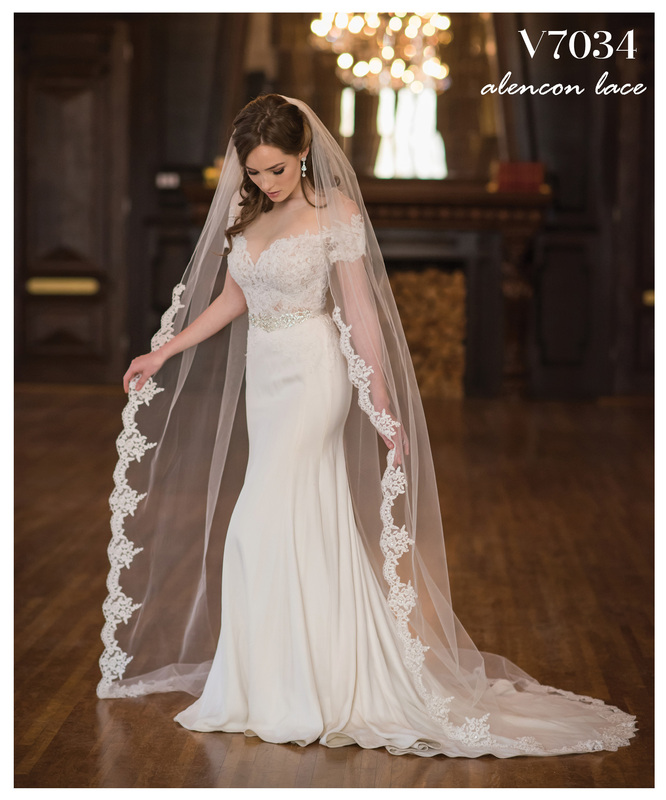 This gorgeous cathedral design features a simple rolled edge at the top and floral Alençon lace along the curve. 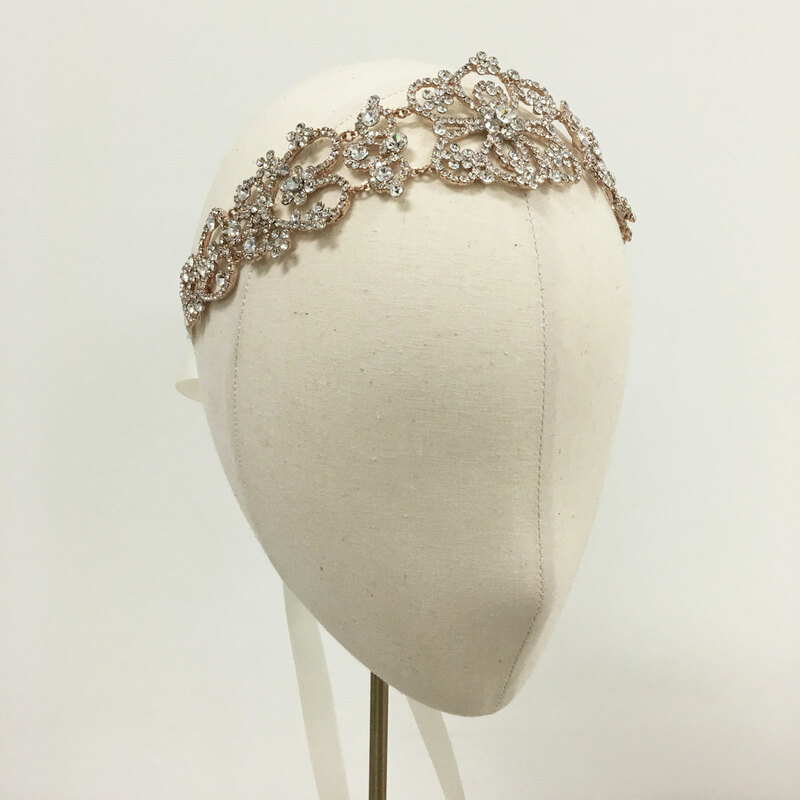 Bursting with romance, this bridal essential complements a variety of lace gowns with perfect elegance. 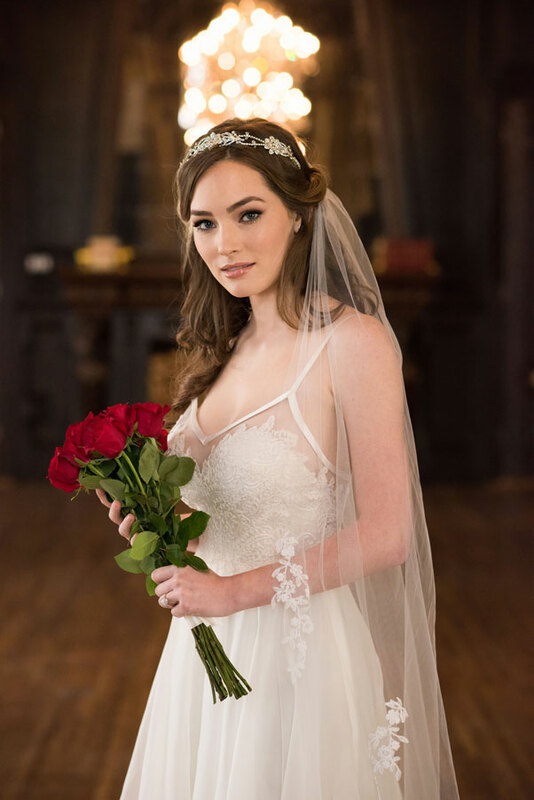 Want to see more? 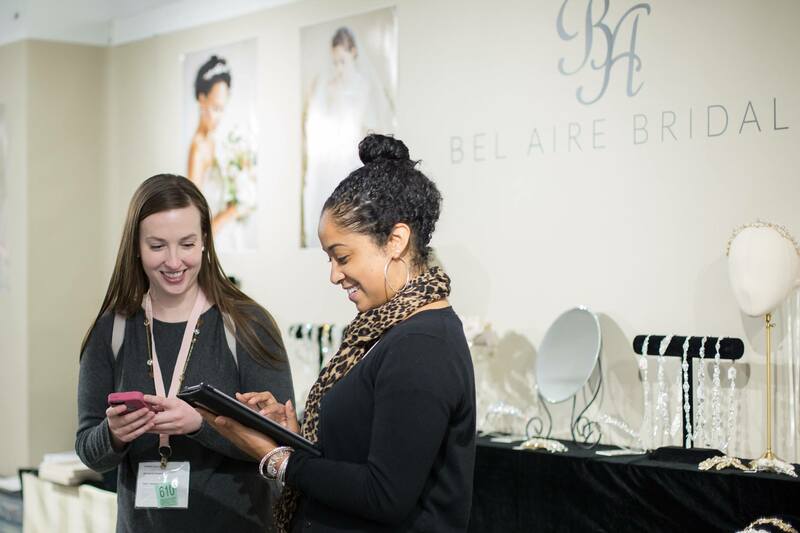 If you’re a bridal retailer, be sure to come see us at New York Bridal Fashion Week. 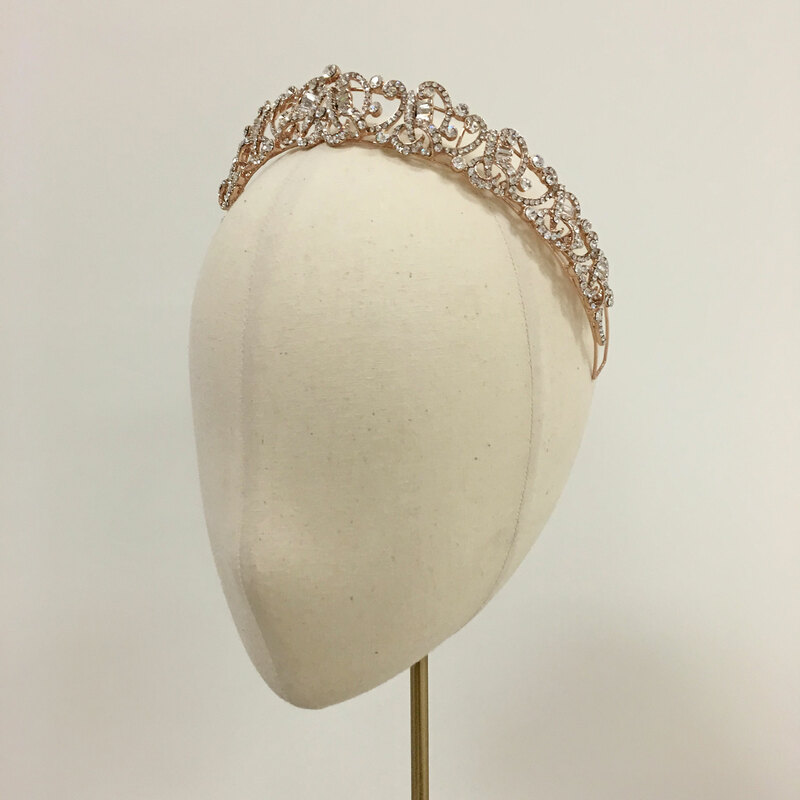 Follow us on Instagram for sneak peeks at our new collection, and check back on our website for updates soon!